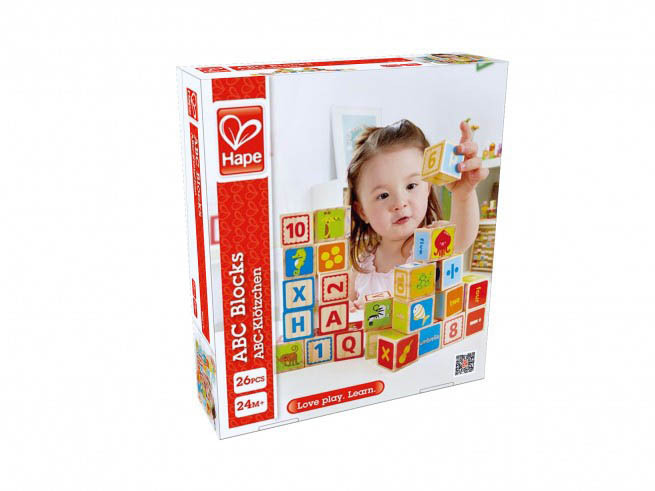 Baby wooden toys from Hape are delightfully fun and educational too, like the ABC blocks that are cheery, chunky and creativity-boosting toys for toddlers and little learners. 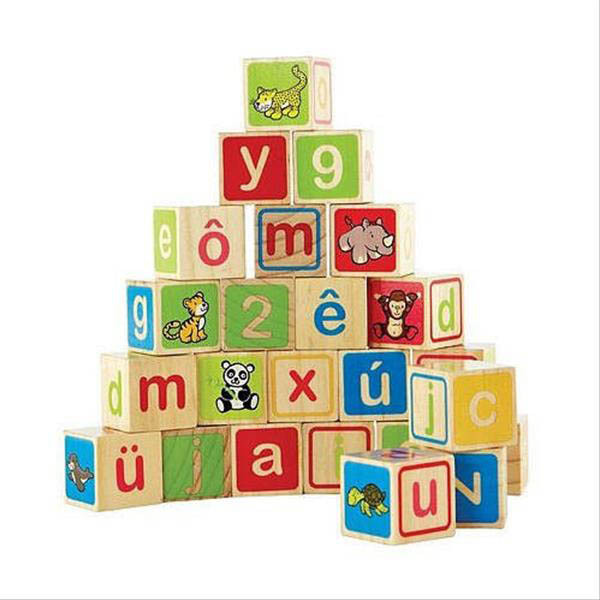 Delightfully designed from wood and water-based paints with letters, numbers and retro-style art, these blocks are built to last and for hours of fun educational play. 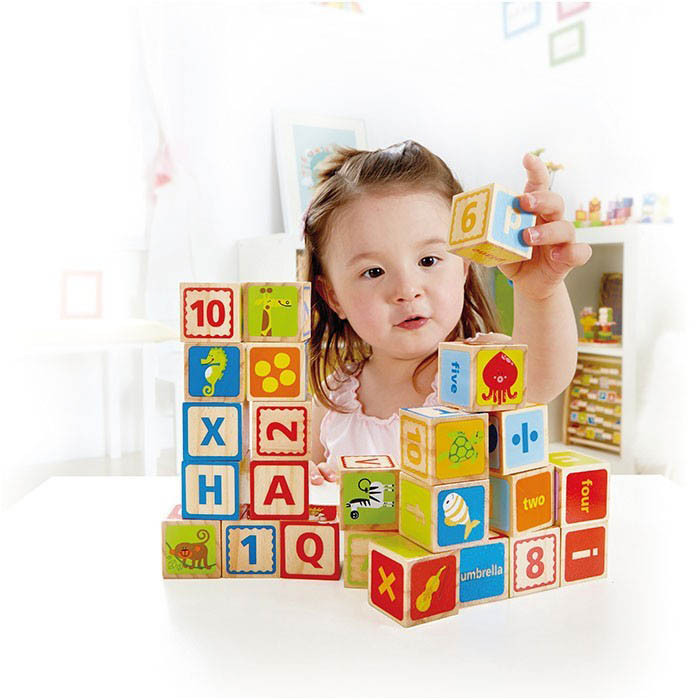 Kids will love putting the blocks together to create words, stories and buildings. 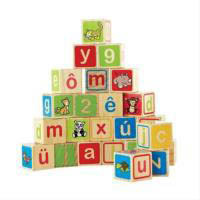 Have fun encouraging your little ones to “find” their name using the blocks. All Hape products conform to toy testing as required by the ASTM (American Society for Testing and Materials) for the US and Canada. All toys also pass the strictest international standards of Europe and Japan, too.